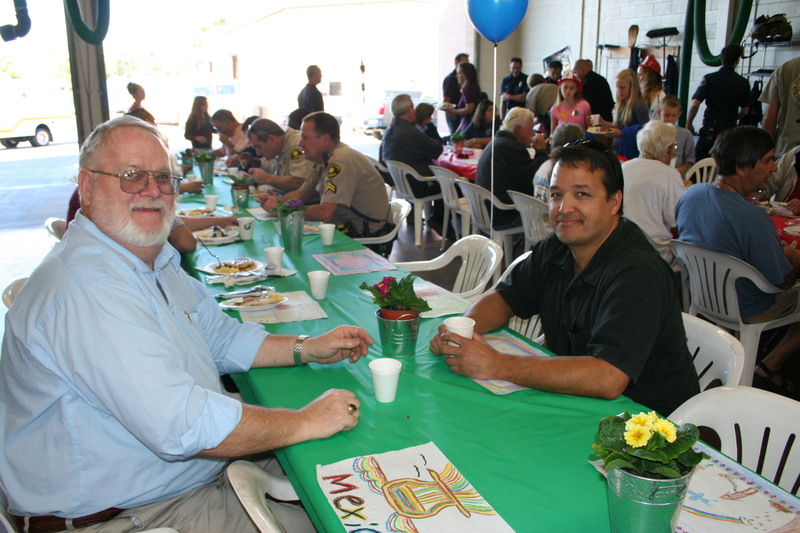 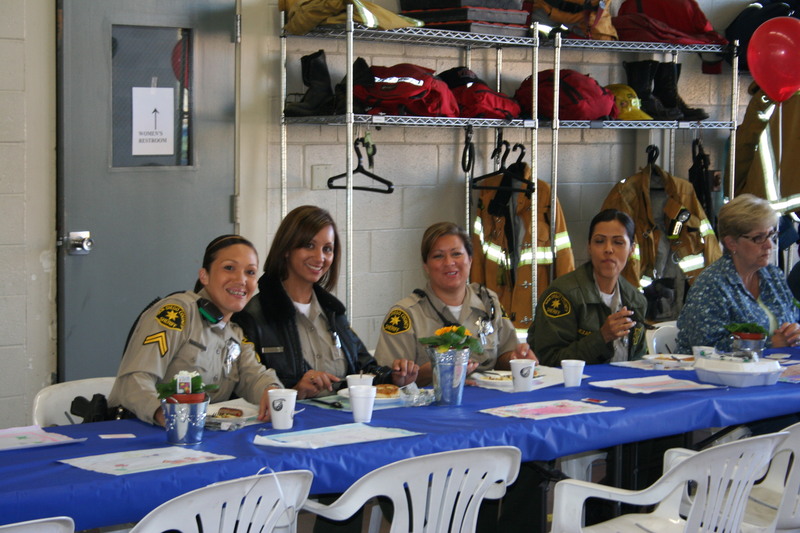 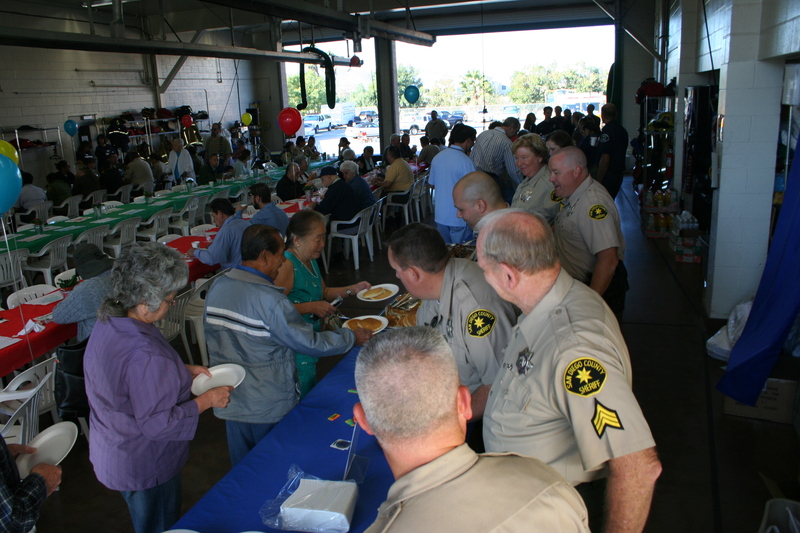 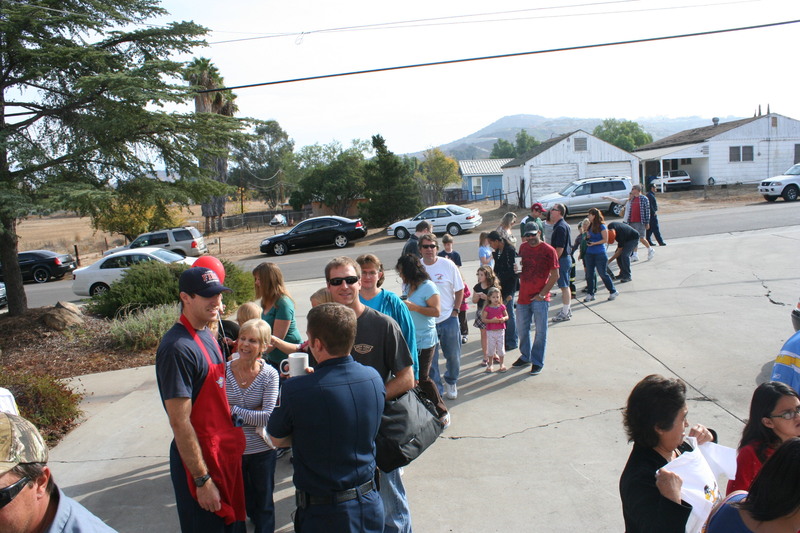 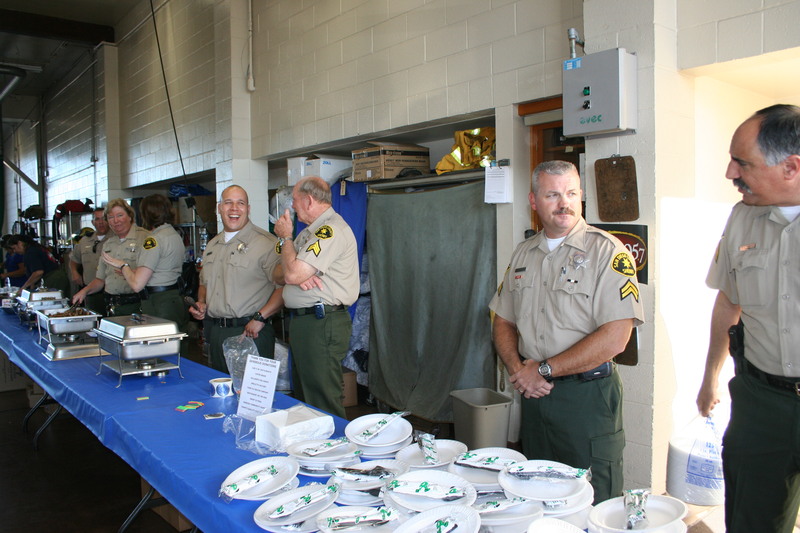 On Friday and Saturday, November 6 & 7, the Santee Firefighters and the San Diego Sheriff’s Deputies (Santee Substation) joined together to put on the annual Santee Pancake Breakfast supporting needy local families. 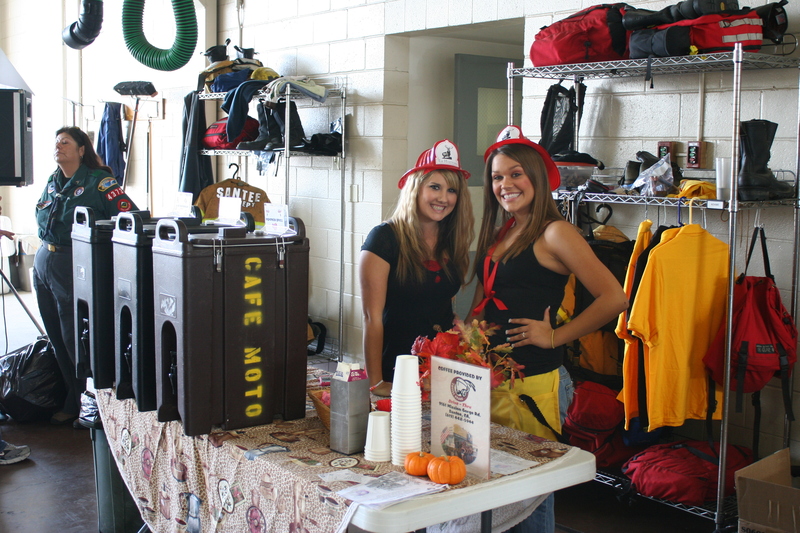 As in the past, Fire Station 4 on Cottonwood Ave. was the site for the two-day gastronomic gathering. 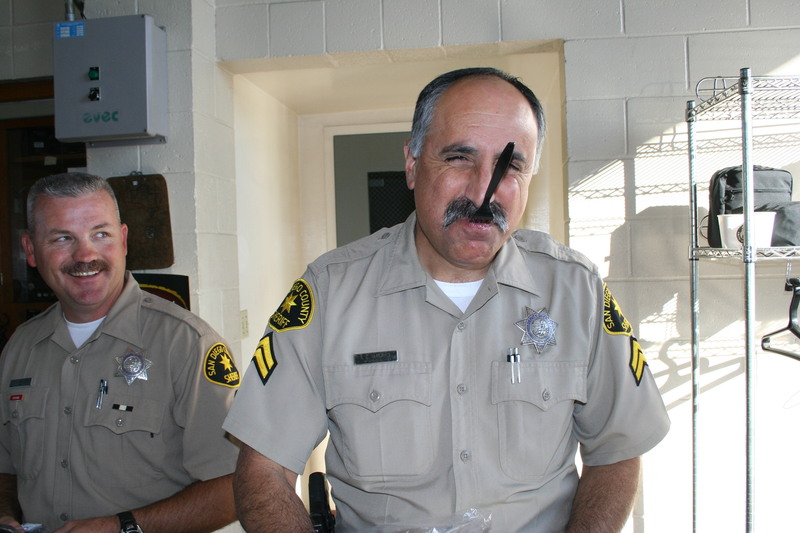 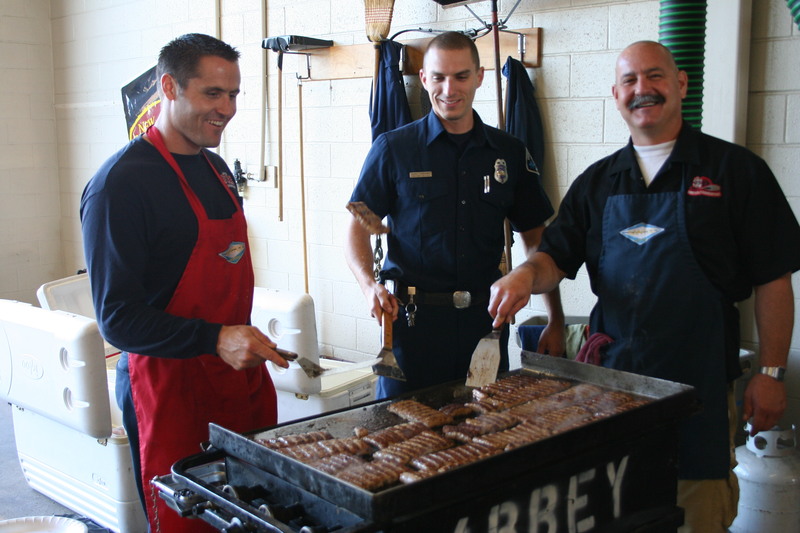 Deputies served up the food as firefighters flipped sausages on a nearby grill. 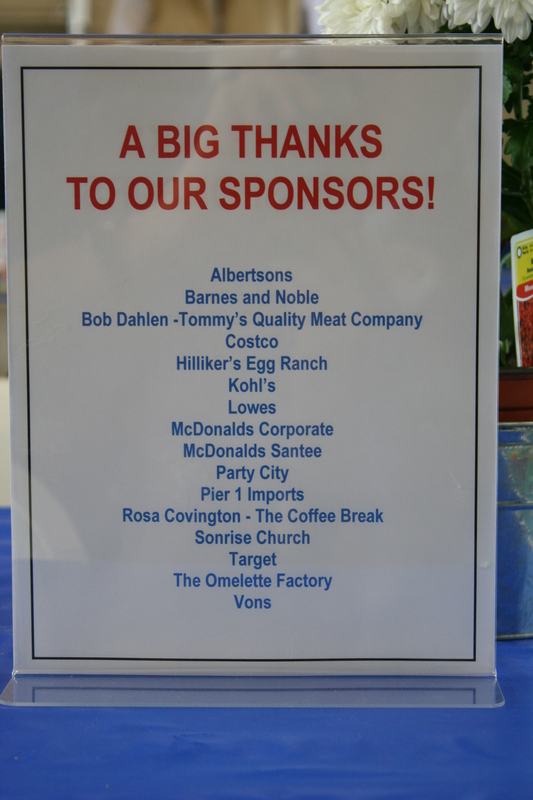 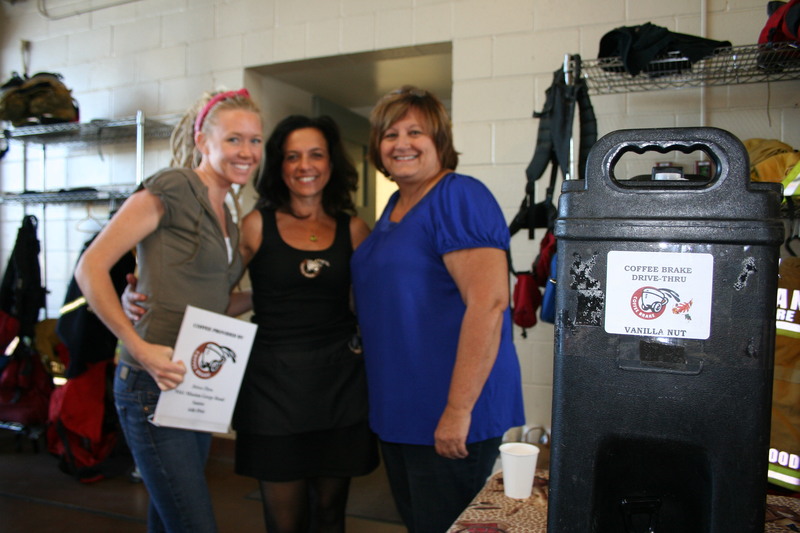 Coffee was provided by the great folks at Coffee Brake, and several other local businesses helped sponsor the event. 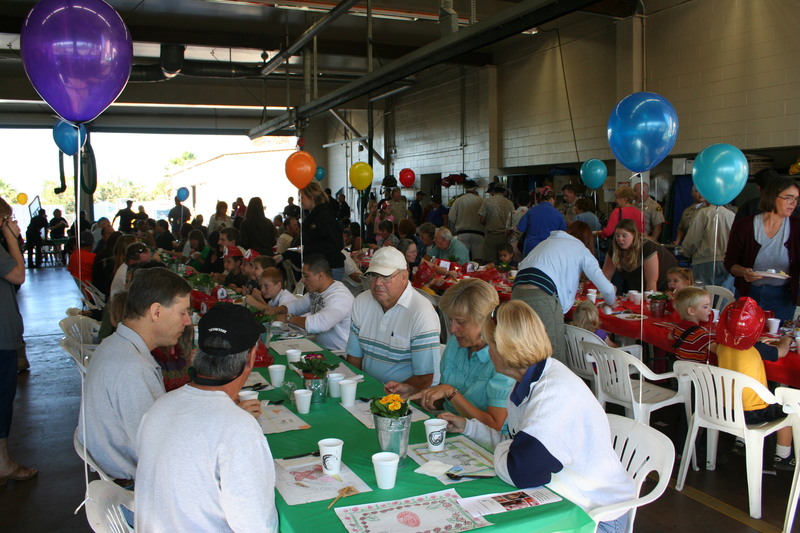 I was not able to make the Friday fest, but Saturday was quite busy while I was there. 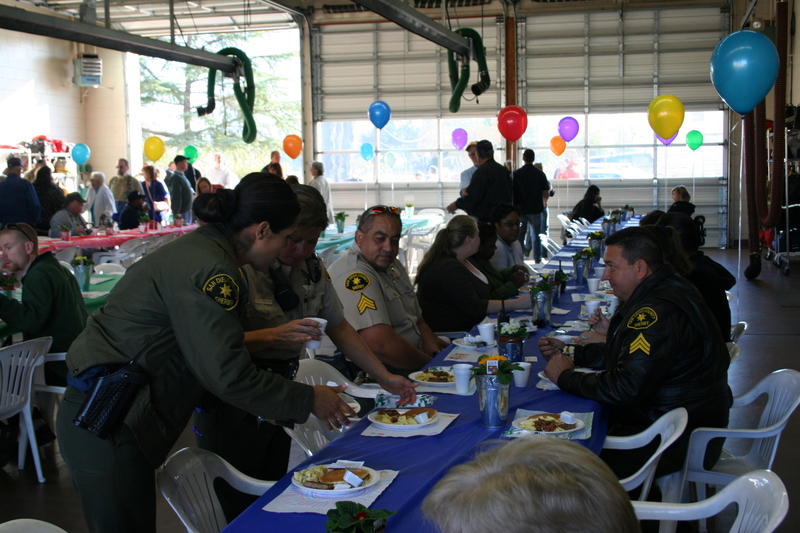 I wish I could tell you how good the food was, but because of a grand opening the same morning I didn’t have time. 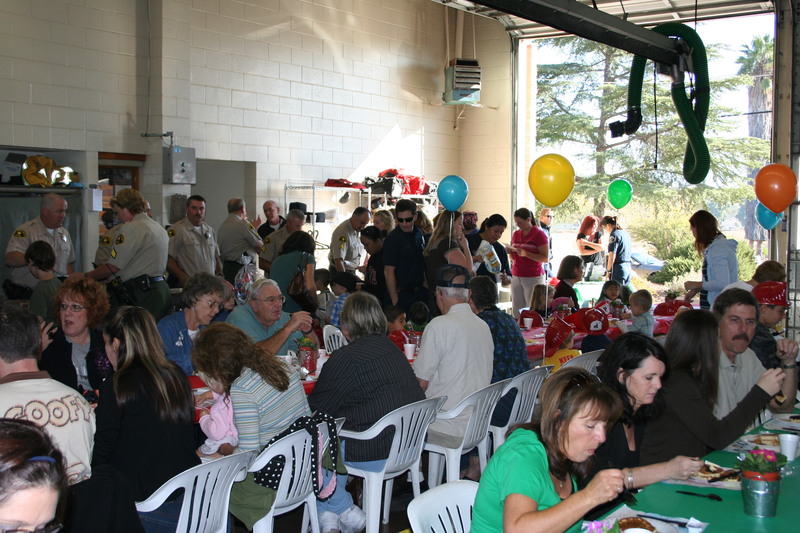 But the people there certainly seemed to be enjoying their meals, and you know firefighters love their food. 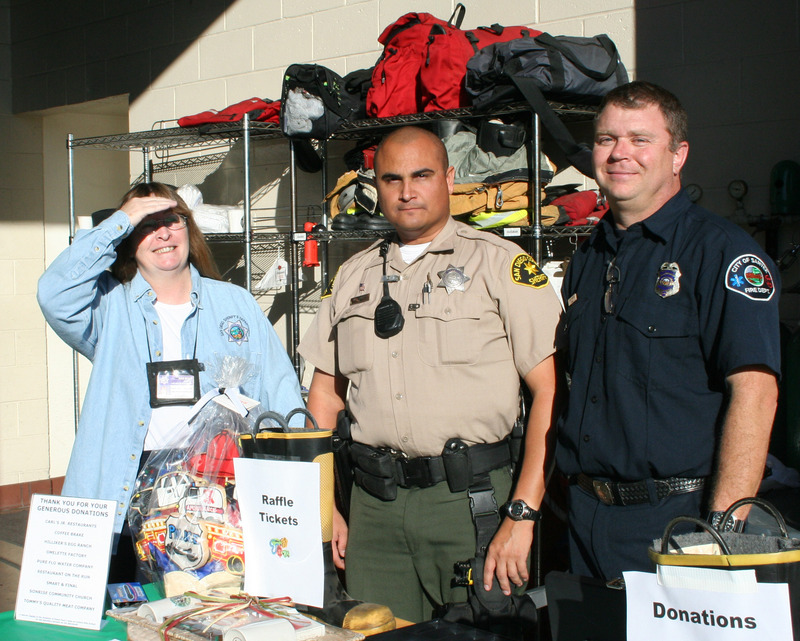 If you missed this year, you can wait until next November, or you can contact Barbara Wallace at the Santee Sheriff’s Station (619-956-4000) to find out how you can still help out families this year. 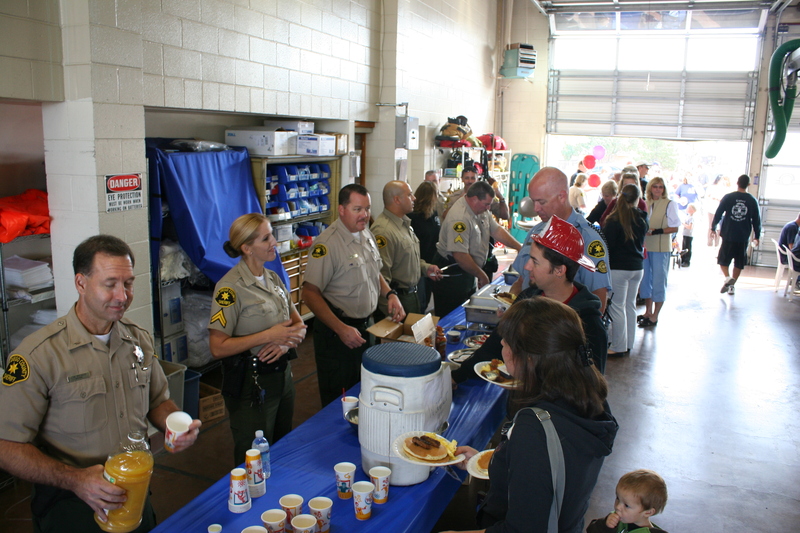 Once again the Santee Firefighters and the San Diego Sheriff’s Department are sponsoring the annual Santee Pancake Breakfast to benefit needy local families. 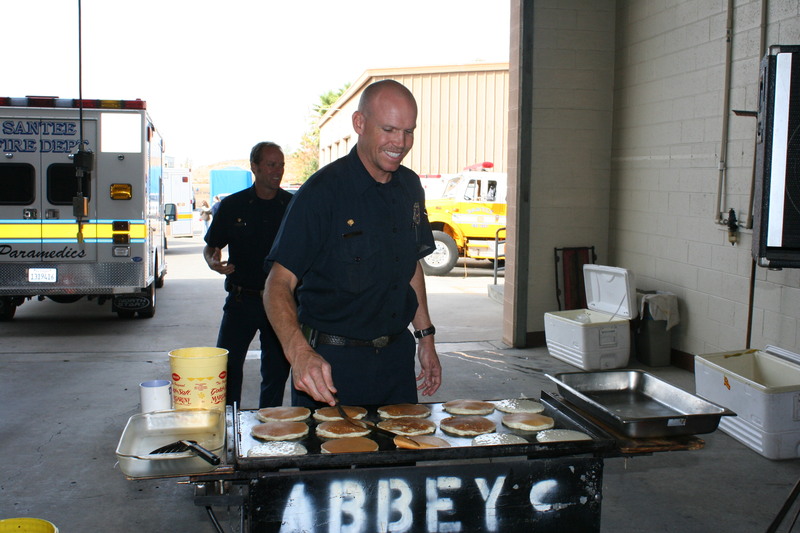 This coming Friday and Saturday, November 6 & 7, you can join our local safety providers and community members at Fire Station 4, at 8950 Cottonwood Ave. For just $4 ($3 for anyone 10 and under or 65 and over) you can enjoy pancakes, eggs, sausage, coffee, and juice between 7:00 and 10:30 am and help those people less fortunate.